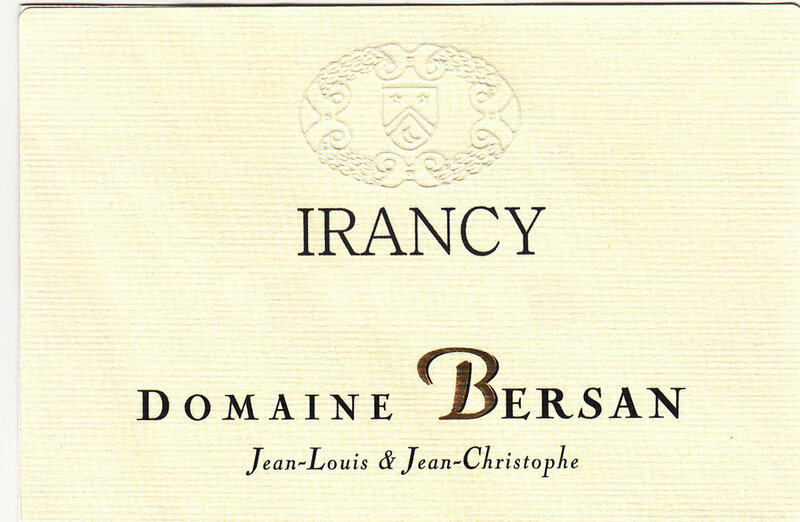 Jean-Lous and Jean-Christophe are a father-son team, inheriting vines from generations past who settled in the area of Saint-Bris-le-Vineux and carefully tend the vineyards planted by Jean-Christophe’s grand-father, Louis Bersan, more than sixty-five years ago. Jean-Louis has taken to dealing with the trading aspect of the domaine while Jean-Christophe is in charge of the vine growing and the wine making. The vines here range between 10-25 years in age and are planted on clay and limestone soils. The grapes are harvested, left on their skins for 2 hours, undergo spontaneous fermentation for 1 month and are kept on the lees for 4 months. All of this is done in stainless steel to retain the freshness they seek in their wines. The vines average 35 years of age, planted on clay and limestone soils and are harvested in early-mid October from four hectares from four vineyards: les Rosettes, Reugny, les Joiches, Sèche Bouteille. The grapes spend 2 hours on skins, with spontaneous fermentation lasting 2 months, and is aged for 8-10 months in stainless steel to retain freshness. From vines ranging between 10-45 years in age, the grapes come from 6 hectares of vineyards: Vau de Pissou, Montembrasé, Boisseaux, Ardilliers, Courrières, Moury. Hand-harvested in mid-September, spend two weeks on skins, undergo spontaneous fermentation between 6-10 days and then spend 4 months in stainless steel and 10 months in barrel. From 65 year old vines planted on clay and limestone soils in .7 hectares of the Vodon vineyard. The grapes are hand harvested at the beginning of October and spend 3 weeks on skins, undergo spontaneous fermentation between 8-10 days and then spend 12 months in 228L oak barrels and four months stainless steel tanks with no filtration.